The National Council of Canadian Muslims, CAIR-Canada, The Muslim Brotherhood, The Muslim Student Association, all Saudis funded Associations and Hamas are just one big jihad driven blood soaked Muslim mess kit! 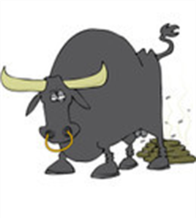 All you need for documentation is found in the links attached. I recommend you take the moments to read them and follow these sources for on-going analysis of the truth about the threat posed by Islam to our nation and the free world. “When we take a closer look at the details and links, including the NCCM’s declaration in its July 2013 change-of-name press release that “We remain the same organization,” there is hardly a doubt that NCCM is still, substantially, CAIR-CAN. A briefing note from the Canadian-based intelligence analysis group INSIGNIS Strategic Research Inc. confirms this, highlighting what emerges from a close study of NCCM/CAIR-CAN. INSIGNIS concludes, based on the substantial shared identity of NCCM and CAIR-CAN: NCCM/CAIR-CAN is the Canadian chapter of the Saudi-funded, Washington, DC-based Council on American-Islamic Relations [CAIR]. CAIR was designated by the United States Justice Department an unindicted co-conspirator for the purposes of the largest terror-funding trial in US history, the Holy Land Foundation criminal prosecution. The prosecution was considered very successful, and achieved numerous convictions. When confronted with this difficult history, NCCM/CAIR-CAN associates have now and then asserted that their organization is wholly independent of the American mother group. They point to the fact that NCCM/CAIR-CAN has its own board of directors and is incorporated in Canada. The claim of substantial independence has been defeated, however, by considerable evidence, including a December 2003 affidavit sworn for the Ontario Superior Court by NCCM/CAIR-CAN founder and then-Chair, Dr. Sheema Khan, in the course of a trademark dispute. That document states categorically that CAIR-CAN (and now, by implication the NCCM) is under the direction and control of the American CAIR organization. The CAIR/NCCM/CAIR-CAN enterprise has had a record of propagating what is commonly referred to as the “Islamic victimhood narrative,” which is to say exaggerated claims of wide-ranging persecution of Muslims by mainstream Canadians and Americans. As mainstream Muslims have indicated, such claims are not merely statistically inaccurate, but divisive and potentially dangerous. The hazard is discernible in the fact that a common thread through various Islamist terror plots and attacks in North America, has been perpetrators’ misguided insistence that relevant aggression was justified “in defense of Islam.” The methodology of NCCM/CAIR-CAN’s 2005 “survey” of Muslim perceptions was considered especially egregious in its distortions. CAIR and NCCM/CAIR-CAN have been prominent in pressing upon the public the term “Islamophobia”, an expression held by many moderate Muslims to have been contrived by US Muslim Brotherhood affiliates, most prominently some years ago at a meeting at the Northern Virginia International Institute for Islamic Thought, in order to silence Muslims and non-Muslims concerned about radical Islam. “Ihsaan Gardee, executive director of the organization once known as CAIR-CAN, gained himself a convenient platform earlier this week to promote his organization’s latest “lawfare jihad.” The organization once known as the Council on American Islamic Relations (Canada) is desperately trying to rebrand itself. In July, the group’s leaders renamed their group as the National Council of Canadian Muslims. The idea, of course, is to get away from CAIR-CAN’s tarnished reputation, at least in the minds of some critics, as a hideout for closet Islamists. Is it working? Not judging by the NCCM’s latest antics, which, to my mind, demonstrate that what we’re getting is the same old halal wine in a relabeled bottle. The organization wants a “full-throated apology and retraction” as NCCM’s executive director Ihsaan Gardee told Evan Solomon on CBC’s News Network’s Power and Politics show. Why? Because the prime minister’s spokesman, Jason MacDonald, dared to dismiss the objections of the organization once known as CAIR-CAN to Stephen Harper taking a rabbi it didn’t like along on his recent trip to the Middle East. 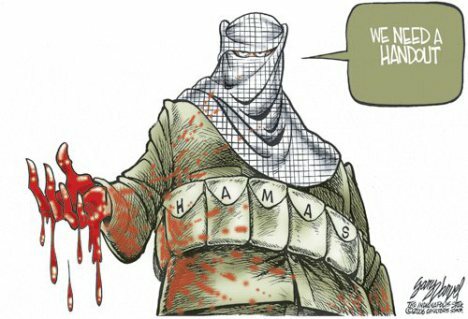 “We will not take seriously criticism from an organization with documented ties to a terrorist organization such as Hamas,” MacDonald said. Oh Canada! Can you stand on Guard with old Garbage Can Gardee? So, we find the ‘Gardee fool going to sue our man on the hill’ is not the only Chartered Member of the Worldwide Islamic Liars Association that has embedded itself in the Canadian landscape. However, Ihsaan Gardee may be the ‘king of Islamic fools’ in Canada if he truly believed that a name change for his demandable organization could do anything other than momentarily confuse dimwits similar to himself. But, “as a dog returns to his vomit, so a fool returns to his folly.” (Proverbs 26:11) And the Islamists are such fools that will continue to return to spout their vomit until we drive them from Canada permanently. By July 6, 2013 the exposure of true nature of The Council on American Islamic Relations-Canada (CAIR-CAN) was great enough that ‘old lying lips’ changed its name to the National Council of Canadian Muslims, hoping somehow to hide the fact it was deeply embedded from inception by the Muslim Brotherhood and Hamas associates. Such ‘registration ploy’ of establishing new groups under variant names to hide their same overall agenda connections was instituted by CAIR founder Omar Ahmad. Wiretap documentation in 1993 established this fact and if you desire more surrounding the matter go to The Clarion Project. All CAIR’s individual chapters are registered separately from CAIR-National, and CAIR-CAN is no different. This makes it more difficult to draw clear pictures of the relationships and jihad tactics of the groups. It would seem that no one informed ‘the main man Ihsaan’ that these registration tactics and name changes work best before you have already been caught with your pants down playing stupid games with yourself in public. For example, an Islamist named Jamal Badawi sits on CAIR-CAN’s Board of Directors and his name appears in a 1992 U.S. Muslim Brotherhood directory. “Duh! What’s up Doc?” Well, NCCM chapters from ‘sea to shining sea’ you are being led by an obvious idiot, employing tactics derived from principals gotten from your book of idiocy called the Qur’an. Take notice now, as led of the Lord I intend to run a expose series on your ‘goof troop’ in each province and territory in the Dominion of Canada. The blackness of your evil when drawn into the light ultimately dies. You are obviously in an advanced stage of shrivelling as evidenced by the fact of all the chunks of dried up vomit clinging to cracking Muslim lips and how you are staggering about the land. You are even dumber than displayed in how you force your wives to dress if you think you can ever complete your patterned stages of invasion and conquest within our land. Go to the link to gain clarity as to what the ‘program’ for the Islamists is and you will see that Canada is in Stage 2 and could transit quickly into serious Stage 3 aspects if there is any religious or political hindrance to dealing with all formats of Muslim incursion that have taken place here. I believe the Harper Government will act in right accord in this matter, given the stances taken toward preserving civil liberty while trying to quickly institute measures needed to truly enhance National and International security. Even if there is slow down or failure in some areas you shall still ultimately see eradication of the Islamic jihad elements in this nation. The degree of violence that you can expect to deal with will depend on your not seeking for compromise solutions, as you cannot compromise with Islam in any manner. The degree of violence that you can expect to deal with will depend on the speed and effort to final solutions you are prepared to enact now. End the compromise now Canada before Islam is able to openly enact greater threats and violence in our streets. As for you mob of misguided Islamic spiritual buffoons, you might as well ‘pack your bags, grab up your wives, cinch on your suicide vests and depart now’ as this land simply is not your sharia oasis and never will be. So carry on your ‘jihad with law-fare, mouth and pen’ but as the case with Gardee has proven your pants are fully down in public. And, it appears true Canadians are starting to kick your ‘embarrassed brown asses’ out of here. I did a brief back tracking from the time of the NCCM threat to sue PM Harper by sampling through a decade of the constant stream of ‘media mush’ we are being fed. 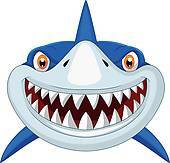 The escalating Islamic jihad tactics displayed by the Gardee Style Goons through legal threats, opinion manipulations and blatant lies were displayed as clearly as the shark glaring at you on this page. As to being shameless outspoken liars we have “Bah, humbug to Tarek Fatah” which was Ihsaan Gardee’s opinions of the documented charges listed against the NCCM in December of 2008 by Tarek Fatah of Toronto. Far from being “completely distinct,” court documents suggest otherwise. In a sworn affidavit in 2003, Sheema Khan, former CAIR-Can chair, states that CAIR USA has “direct control over the character and quality of all activities” of its Canadian chapter. She admits CAIR Canada “uses the trademarks CAIR-Can and the name Council on American-Islamic Relations Canada under licence from CAIR United States.” Khan writes that in 1996, a Canadian chapter was established in Montreal to promote awareness about the American CAIR through the distribution in Canada of CAIR newsletters. She takes pride in the fact that under her leadership more than 2,000 Canadian Muslims became members of CAIR USA. The fact that his group’s former chair would sign a sworn affidavit stating American CAIR had “direct control over the character and quality of the activities” of its “Canadian chapter,” exposes Gardee’s attempt to distance CAIR-Can from its American parent’s tarnished reputation. Both CAIRs seem to sing from the same jihadi hymn book.” Tarek Fatah, Toronto. The following link is the final posting I am going to reference showing the NCCM tactics toward silencing their critics and escalating litigiousness. It was first issued Sep 13, 2004 and updated Dec 24, 2013. It is a brief-precise-concise-encapsulated open window into eight years of the Islamic escapades we have been speaking to. CAIR’S Growing Litigiousness: http://www.danielpipes.org/blog/2004/09/cairs-growing-litigiousness . While this posting shows the Islamic jihad measures to silence all its critics through the legal system it also highlights the fact that the tactic is not working. Why? A tsunami of critical truth is now rolling toward them that will destroy them and scour the land. 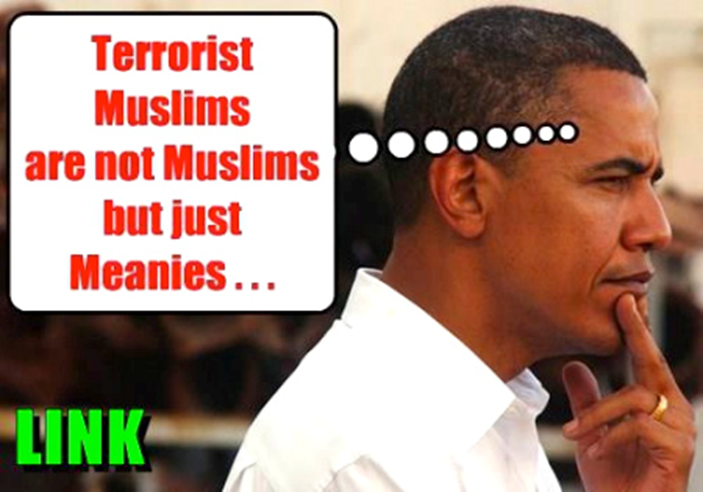 In the meantime the devils armpit Obama has taken things to a new low in that Muslim atrocities around the world are not supposed to be referred to as Islamic at all, little alone as Islamic to the core which they are. Obama is a willing tool of Islam and in all his mucking around the pig pen of the Middle East it is getting spiritually filthier as the jihadists advance and the Christians are being exterminated. 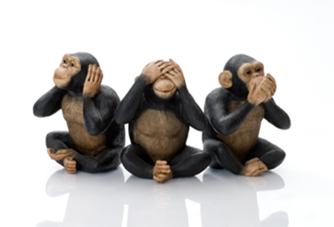 To speak the truth about it fully in Canada is held to violate laws governing hate speech. The fact about hate speech is that you cannot even quote the truth about the Qur’an which the terrorists use to justify their actions without exposing it as a book and ideology that comprises hate speech itself. There are plenty of examples of such in the Qur’an where Jews are called apes and pigs and the jihad is war against the “people of the book”. The people of the book are Jews and Christians who the Muslim must fight against until they submit to sharia or are dead. There isn’t a ‘hope in hell’ that the ‘people of the book’ will ever be silenced and not achieve victory over this garbage. Using threats of legal suits the Muslim extremists such as the NCCM are essentially trying to blackmail their opponents. Until full bloom sharia is in place the Muslim blasphemy laws are very unlikely to be accepted, thus the Muslims get around this by using the hate speech laws. Some of this ploy works well in that it demonizes those standing against them to the degree that often the people who agree with their opponents are unwilling to support them openly. Throughout this scenario Muslims gradually try to introduce regulations and demands based on sharia that limits our freedoms and increases theirs. This process is called the ‘dhimmi concept’ and what I term their ‘dim wit concept’ if they think they will achieve an ultimate victory over Canada trying to employ it further here. The Islamic ideology has ruined every country it dominates. And the cultural relativism of great numbers of the Canadian elites panders to its primitive medieval ideological crap through openly embracing them or through complacency. This must end for the snake they embrace or ignore is being put to its death and will drag them along to an unnecessary earthly destruction. The doctrines of Islam are nothing more than the mouth of an open grave calling out to such people. We need some actions now through the ‘common Canadian’ and very ‘uncommon RCMP’. The truly common Canadian has an inherent sense of justice and compassion that while sometimes sidetracked can never be destroyed. And, in the RCMP there was birthed at inception a justice driven investigative unit that is probably the best in the world and one also fully capable of cleansing itself. Commoners………stand for Israel as God has called all people to do …..
You need to reach a decision whether you are going to ‘hear, see and speak the truth’ about Israel as God’s chosen people. The Jewish presence in this nation constitutes in great part the reason our nation has been blessed economically. And, our righteous areas of action in relationship to Israel is also the reason we have been spiritually defended to a larger degree against Islamic infiltration and sharia implementation than what is being planted by ‘Obama’s desolation of nation’ as taking place south. God spoke clearly what He ultimately had in store for Israel when stating: “I will make of thee a great nation, and I will bless thee, and make thy name great; and thou shalt be a blessing: And I will bless them that bless thee, and curse him that curse thee: and in thee shall all families of the earth be blessed.” (Genesis 12:2-3) The Harper man recognized this truth and with his advent to the PM position actively pursued a policy of being a blessing to Israel and not the ‘double minded’ agent of uncertainty that the US administration under Obama displays. During the Israeli-Hezbollah war in 2006 there was a demonstration against Israel on Bloor St. in Toronto in which there were 10,000 Arab supporters carrying Hezbollah flags and banners calling for “Death to the Jews”. This will not be taking place again in Canada due to Harper’s stance against anti-Semitism, Islamic jihad terror and the cries for annihilation of Israel. But, long prior to Stephen Harper assuming the helm God placed a stamp of approval on Canada to be a blessing to the ends of the earth through special relationship to Israel. The relationship was officially inaugurated on May 11, 1949 and it was under Harper that Canada made history by becoming the only country in the world to honour its unity with Israel in a most meaningful and symbolic way. 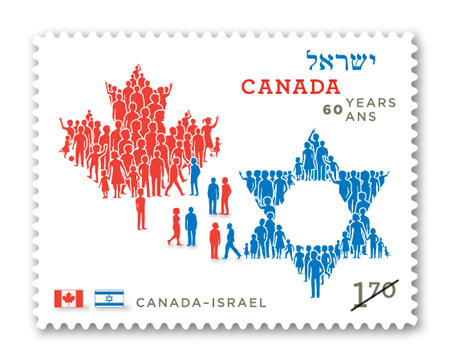 The unity that will surely stand the eternal test of time saw the first joint issue of a Canada-Israel stamp that was unveiled in both Jerusalem and Ottawa in April of 2010. So how do we Canadians at this point in time reinforce and build upon the foundations in place and threatened worldwide by the actions of Islamic terrorists? What should our behavior be at such a juncture as this? The controversial Rabbi Meir David Kahane (http://en.wikipedia.org/wiki/Meir_Kahane) founder of the Jewish Defence League died November 5, 1990 but his legacy lives on. The JDL was designated a terrorist group by the American FBI, but Rabbi Kahane outlined a pattern of five behaviors for Jews, that I believe all God honoring persons should manifest in days as are upon us now. A behavior pattern to desire…. 1. Openly display a love of Israel and the Jewish people. 2. Display personal dignity and take pride in being children of God. 3. Live with the strength of iron never to be overcome by evil forces through genuine faith in God. 4. Exercise self-discipline in personal conduct and display a true unity among yourselves. 5. Display absolute faith in God and the indestructibility of the Jewish people as stated in His word. 1. I will never again stand idly by as Jews are being victimized anywhere. 2. I will never again be silent as Jews are being made scapegoats upon this earth. 3. I will never again stand idly by as Jewish blood is being scattered through unrighteousness. 4. I will never again be silent or idle as Islamic forces pursue jihad goals of total eradication of Israel and worldwide submission to sharia. As for me, since Yahweh manifested His presence in my life through the Lordship of Jesus Christ I have been prepared to defend Israel to the death of its enemies or the death of myself. Anyone claiming to be a Christian that is not prepared to do this I rebuke using words spoken by my Lord: “Ye do err, not knowing the scriptures or the power of God.” (Matthew 22:29) You are in some format of deception, delusion or spiritual retardation if you at any time or in any manner support Islamic interests as opposed to Israel and its total restoration to the Nation state as Biblically prophesied. To continue in misalignment is to do so to your own peril, so I advise repentance as necessary and that you “be wise now therefore, O ye kings: be instructed, ye judges of the earth. Serve the LORD with fear, and rejoice with trembling. Kiss the Son, lest he be angry, and ye perish from the way, when his wrath is kindled but a little. Blessed are all they that put their trust in him. For the LORD knows the way of the righteous: but the way of the ungodly shall perish.” (Psalms 2:10-12; 1:6) If you take a deliberate stance against Israel now you shall perish in very discomforting fashions. Case closed. They once were and I believe still remain at their roots… the Honorable Horsemen. So try to get this simple fact straight in your heads: The RCMP does serve the Government of Canada which is a permanent entity, but they are not the personal servants of any specific Party that may be in control at any particular point in time. Looked upon as a ‘Department in Government’ this police enforcement group has a ‘structural boss’ of a Cabinet Minister in the Cabinet of the current Prime Minister whoever he may be. In essence they answer to the people of Canada through Parliament of Commons and Senate while remaining under their own administrative format. The Political Party Goers fluctuate which change the ‘structural boss’, but the RCMP remain throughout to pick up our trash, clean out whatever mess we have made and continue to maintain control of the ballroom we dance in called Canada. These people are neighbours, family members and strangers that must live according to the laws of us all, but they must also enforce the honoring of these same laws. First they must enforce the law upon themselves and then all other citizens. This task demands integrity and that is where we have run into problems due to recruitment programs that Parliament pursued. They designated that RCMP intake was to become based upon necessary numbers of visible minorities and cultural groups being evidenced in the force. As an example of results, visible minority feminists have demanded they be accorded their fair share of a role in the force and accorded positions higher in the echelons of authority. This was accorded them and has not shown itself to be a panacea for any problems faced by society or the force. The Government with its multi-cultural approach attempted to make the national police force reflect equality of all immigrant social groupings within its ranks. The standards for recruitment from within such groupings were lowered to ‘offset the deficiencies the culturally based applicants’ supposedly faced in competing within the general society. It was posited such deficiencies were supposedly due to lesser education and other preparatory factors that were impinged upon them due to socio-economic cultural circumstance deemed out of their control or socially unjust. Whatever, the result was the standards of the service were watered down to accommodate this new batch of the ‘deprived by culture or sexual status applicants’. Another factor that adversely affected standards of conduct was the demands given into such minorities as the Canadian indigenous population that the legal system itself be altered to institute an administration of courts to be based on their own traditional standards. This same demand is being sought after by the Muslim community to try to run their own legal administration under sharia. You cannot have special groups or pockets within a society that are accorded ‘rights due to culture alone’ without damaging the societal system overall. Society must be governed under one law applicable to one and all. Thus, measures to accommodate ‘special legal status’ positions further denigrated the Federal policing enforcement capability. But throughout it all the core body of the force kept pushing forward attempting to fulfill the mandate originally given them which simply put is to protect the citizens of Canada through the legally constituted laws of the land. Where the greatest difficulty in maintaining integrity has arisen is now being encountered among the force members from cultural groups that have strong family and religious ties upon them. I do not question that most of our ethnic based ‘culturally deprived’ entrants were of good intent, but when the chips are down they too easily give in to the cultural demands of their grouping to administer the law from a position of neutrality that it demands. As a result a greater degree of corruption creeps into a force that must first and foremost police itself. And, as for the practicing Muslim it is totally impossible for them to administer the law as the RCMP standards demand because their faith demands they work toward the establishment of sharia no matter how they need to get it done. 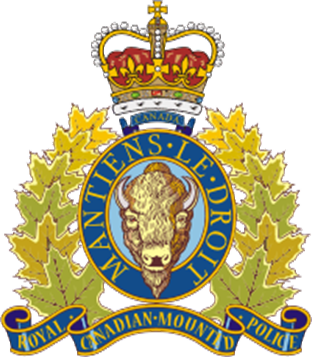 There is not a ‘devout Muslim’ within the RCMP that can be trusted to fully uphold the laws of Canada and fulfill the calling that is placed upon the ‘horsemen’. When a ‘visible minority bends to the culture they come out of they cannot maintain the neutrality necessary to administer the law equitably to the good of all and they damage us all as a society. But the case is greatly aggravated by the Islamic factor and sharia quest that overrides all matters for the devout Muslim in that they do not simply cause damage, if left unaddressed they destroy the society for all other cultural subgroups because Islam must become dominant no matter the cost. How’s Your Spiritual Temperature Today Mate? Well, on March 5-2015 “Nearly half of Canadians say they feel less safe from terrorism than they did two years ago, according to a survey conducted for CBC News. Two-thirds say it is likely that an attack will occur in Canada within the next five years, including 42 per cent who expect that it will result in mass death and destruction.” The poll was conducted by Pollara Strategic Insights for CBC. A total of 1,000 adult Canadians participated in the online survey between Feb. 8 and 11. When it comes to investigative ability don’t think the Horsemen have fallen out of the saddle because a belly crawler like U.S. National Security Agency whistleblower Edward Snowden says Canada has one of the “weakest oversight” frameworks for intelligence gathering in the Western world. The documents Snowden leaked to journalists revealed details about the electronic spying agencies of a number of countries, including Canada. One program operated by the Communication Security Establishment and dubbed Levitation sifts through millions of videos and documents downloaded worldwide, CBC News revealed earlier this year. Snowden said the bulk collection of data has fundamentally altered the relationship between citizens and government, and cannot be counted on to stop attacks. The RCMP has so many cases on file and simultaneously is conducting so many necessary investigative matters that no ‘investigative journalist’ will ever be able to document them all. And daily their case load is added to on all fronts such as general public civil and criminal issues, political corruption matters and our screaming needs in ‘national security’. They are both seeing to the investigation and prosecution required by the Federal police positioning from ‘sea to shining sea’. It is a task of mammoth proportions and demanding of dedication to service that at times places great strains upon their personal lives. Some individuals within the ranks display burnout or actions that cannot be tolerated in the force and the media pursues them with a vengeance. Some of the pursuit is justified, but a lot of it ends up being a career building foray of the pursuers and thus information they provide pushes the public toward the pathway they desire to go themselves. Thus, it is incumbent upon the RCMP and CSIS to also keep an eye upon the ‘eyeballs of the press’ and all individuals that may sway public opinion in specific directions. This is not some conspiracy to restrict the limitations of free speech or assemblies of protest morons in some manner. It is just a part of necessary investigative police work that has become highlighted because of our national security matters. Consider the following RCMP activities from a basis of common sense. In policing the police we see another current matter arise to awareness on March 9,2015 with their search of Ontario Provincial Police Union offices: “The RCMP is conducting a criminal investigation and believed that evidence to support its investigation could be found in the OPP Association head office as well as the offices of president Christie, vice-president Bain and CAO (Karl) Walsh,” it said. But the semi-brain dead case of ‘Pandering Pam’s Purse String Escapades’ leads me to think she is either suffering some stage of Alzheimer’s or format of ‘menopausal madness’. She lays claims for expenses surrounding an appointment she states she had with Peter Monk in Toronto on March of 2010, on a date that Peter Monk was in Switzerland. It appears the confused ‘ poor dear when caught in the headlights’ may have actually been up to something at the Peter Munk Cardiac Centre located at Toronto General Hospital. Then we have our other ‘media rooted Senator Huffy Puffy Duffy’ former political journalist headed into court soon looking like the ‘baby that ate New York’. People from out of the ‘media mush mob’ do not appear to make good senatorial material which I am sure Harper is well aware of by now. Perhaps the RCMP should peak into the affairs of Senator Linda Frum as she is a former author-journalist. There used to be a saying that ‘there is nothing lower than a lawyer except for a used car salesman’. We seem to be witnessing an evolution in degeneration for it appears the ‘politicians and the press’ are replacing them. I suppose when you have a marriage of the political and the press you simply end up with a ‘double dose of ego insanity’. It appears like some of these people truly think they can somehow dupe the RCMP in the investigations at hand. The RCMP have a reputation of ‘always getting their man’ whether that man be woman, politician, sexual deviant or poor culturally deprived persons of criminal intent called ‘immigrants’. Hey, these guys will even go after ‘crippled women of criminal intent’. From files we read this was the case for Quebec MP Manon Perreault, who’s now suspended from the NDP caucus. “The former New Democrat MP was kicked out of caucus after being charged with falsely accusing someone of theft and misleading police. Court records released earlier this month show she’s also being investigated for fraud against the government and breach of trust. The RCMP obtained a production order for the House of Commons and a search warrant for her Mascouche, Que., riding office.” (Fred Chartrand/Canadian Press) No one is ‘above the law’ as far as the RCMP traditional beliefs are concerned. They will have to remember such fact and apply the same zeal and dedication to an investigation that is headed their direction now. The time has arrived that they need to fully investigate themselves! Hey Horsemen, “am I therefore become your enemy because I tell you the truth?” (Galatians 4:16) Your ‘strategic positions’ investigations skills that you aptly apply to organizations you must now quickly apply to yourselves. Blaney stated that ’radicals were tarnishing the reputation of Canada’ and you now face a matter of polishing ‘your own badges’ no matter where the trail takes you to do it. There is for certain enough of the ‘old guard in the saddle and younger adherents’ true to the RCMP code of ethics and personal honor to see the task gets done. You must change in your interactions with and approach to Islamic sources in this nation as the following report from Point de Bascule clearly indicates. “The report shows that the RCMP have fallen into the same trap as some U.S. law enforcement agencies in that they have established close relations with radical Islamist groups who pretend to be moderate. The danger is that the RCMP legitimizes militant groups and radicals who should be shunned rather than dignified as respected moderate allies of the Canadian government in its war against Islamic terrorism.” You can read the full Point de Bascule report here. But the posting at (CAIR Canada | The Counter Jihad Report ) gives an expanded detail of just how badly interlinked with international jihadism the men you were paneling with RCMP Superintendent Doug Best. You must have known what these men are about in Canada and you need to apologize to the nation or resign. Neither you nor any other member of the RCMP has the right to use the excuse of ‘program implementation’ in such a manner that violates the law and security of the land. When sitting down in public with them to ‘establish anything’ you were validating them due to your mere presence for their track record shows them to be seriously intent on enacting sharia upon this nation. I know you have already read both ‘postings’ that I have directed to the general public in the manner I am doing now Doug Best. At least you should have if you are doing your job. Read them again and if you have not already started, nor cannot for whatever personal reasons commence the full separation and association of yourself with the sworn enemies of our nation than submit your resignation immediately. This circumstance does not make you appear the ‘Best Man for the job’ of protecting the people and laws of the land you have vowed to uphold in these critical times. Let your words be reflected fully in your actions or you are proven to be nothing more than a career hypocrite. To tune up from where I started: The NCCM Liars Club proclaims….. there are broad ranging Muslim persecutions in Canada! Thus only further proving the points that have been posted about them. They are naturally born liars and fully sanctioned by their Islamic ideology. Muslims are allowed to lie to unbelievers in order to defeat them. The two forms are: Taqiyya – Saying something that isn’t true. Kitman – Lying by omission. An example would be when Muslim apologists quote only a fragment of verse 5:32 (that if anyone kills “it shall be as if he had killed all mankind”) while neglecting to mention that the rest of the verse (and the next) mandate murder in undefined cases of “corruption” and “mischief.” They will lie and distort anything and be blessed for doing so if it advances sharia. Does this not register? In dealing with Muslims their sexuality is meaningless for they both eat from the same source of the Qur’an and what comes out of them smells exactly the same. They all drop big stinking piles of lies called surah, hadith and fatwas behind them wherever they go. Their Allah is not God, the father of Abraham, Isaac and Jacob. The Jesus they proclaim has nothing to do with the truth spoken by Christians of Messiah and for certain the Holy Spirit of God does not indwell a one of them in actions and deeds. The Muslim Mess Kit simply remains in total a package from “the father of all lies”…Satan. Canada, have your ears and eyes been opened to the reality of what truly needs to be done with respect to Islam? Never file a legal suit with God claiming you were not warned. You have been and will only prove yourself a liar as you join the Muslim horde on their Highway to Hell. That highway is called Islam and your blood will not be held to my account.